To you, and others following this issue, it may seem like the teacher’s contract is constantly being renegotiated. This is basically true! In California, teacher’s contracts can cover no more than a 3 year span and teacher’s unions usually begin holding contract conventions to find out their members’ current priorities about a year and a half before the contract expires. Although the current contract does not expire until June 30th, 2017, preparations for the new contract began last year. 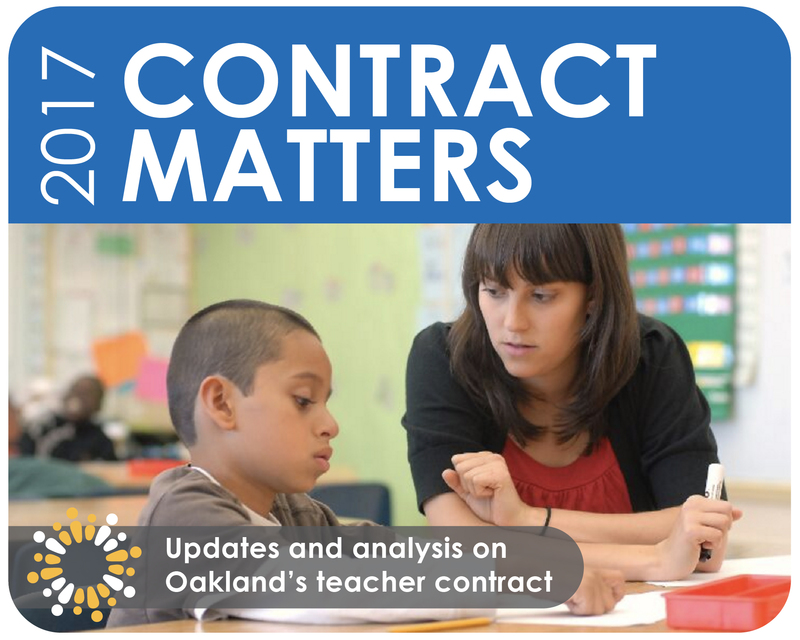 The teachers’ union, the Oakland Education Association (OEA), began holding contract conventions in Spring 2016. At these events, union leaders asked teachers about the issues that impact them and their students. Following these events, the union went a step further than ever before and sent out an online survey to the entire membership to make sure more voices were heard. In the Fall of 2016, the bargaining teams who are tasked with negotiating the contract for the term of July 2017- June 2020 were appointed. The school district’s Bargaining Team was appointed by members of district senior leadership; Interim Superintendent Devin Dillon (in her previous role as Deputy Supt. of Academic and Social Emotional Learning), Marion McWilliams, General Counsel, and Vernon Hal, Senior Business Officer. Trish Gorham, OEA President, appointed the union’s Bargaining Team. After beginning to meet jointly in January, both the union and the district publically presented their initial proposals to the School Board. As is common, both opened some of the same articles for negotiation, while each side also brought different items to the table for discussion. You can find out more about the substance of the initial proposals in our previous blog, Contract Matters: The Bargaining Process Begins. The bargaining teams will continue to meet until they reach a Tentative Agreement. There is no deadline for the new contract. If the teams have not reached an agreement by the end of the school year, they will take a break during the summer and then resume negotiations in the next school year. For now, the union and school district bargaining teams are scheduled to meeting on March 15th and 28th, April 10th and 17th, and May 4th and 15th. According to the latest bargaining update from the OEA, the February bargaining sessions have already been eventful. They reached agreement around the school calendar for the next 3 years and discussed the guidelines for future bargaining sessions. Bargaining ends when a Tentative Agreement is reached, or until it is decided that they are unable to come to an agreement. In both scenarios, there are a number of predetermined next steps. 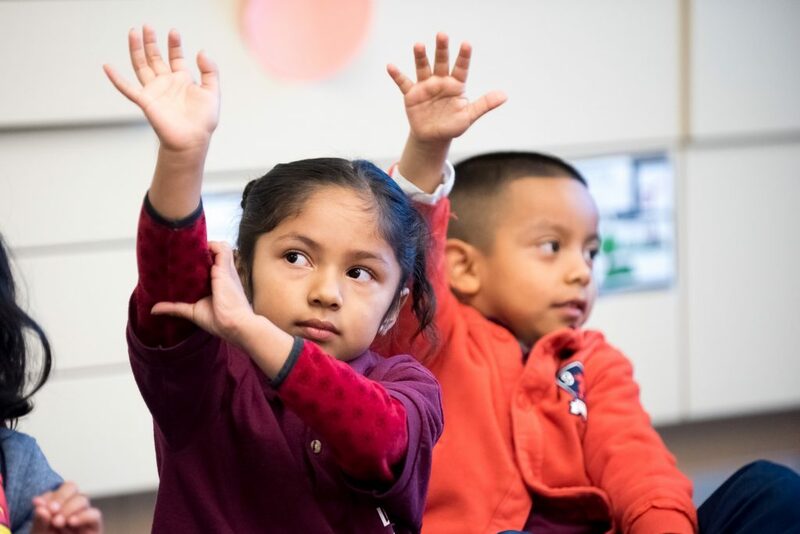 Check out these articles from The California Teacher’s Association and National Education Association to learn more about the various paths a bargaining period could follow. If you missed the contract conventions and survey and are wondering how you can weigh in on what issues matter to you, never fear- the union is hosting an opportunity for community members to discuss the latest bargaining update and advocacy throughout the bargaining process. This meeting is on Saturday, March 18th from 10am-12pm at International Community School. To get in touch with the district side, contact your school board representative at boe@ousd.org and look out for a new Labor Relations section of the OUSD website coming soon.